Whether your goal is to lose weight, build muscle, or boost endurance, following a consistent nutrition approach is essential. Without proper planning, many of us become easily consumed by our busy schedules and turn to run-of-the-mill restaurants or packaged foods. Consequently, we end up consuming subpar fuel for our bodies. Achieving one’s health and fitness goals does not happen by chance. It really boils down to creating an actionable plan and following through on it. This is why meal planning can be so powerful. By implementing a weekly meal prep routine you can plan your meals in advance, give your body the proper nutrients, and ultimately reach your goals. 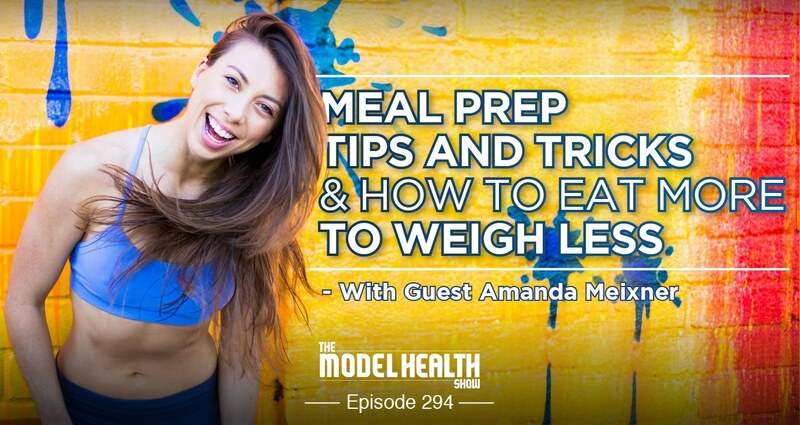 On this episode of The Model Health Show, meal prep expert and superstar nutrition blogger Amanda Meixner is sharing her tried and true methods for meal planning like a boss! Amanda also shares her early struggles with eating (and how she ultimately found balance with food), how to start thinking about food as fuel (that can also be fun), and how you can implement meal prep strategies that fit your unique needs and lifestyle. Why failure is actually a huge key to big success. What it means to batch your meals for the week. Amanda’s top three tips for effective meal planning. Why purchasing the right containers can inspire you to cook healthier meals. The hidden inflammatory ingredients you might find in seemingly healthy packaged foods. Why making a salad jar is an smart (and attractive!) way to store leafy greens. How to create a routine and make batch cooking fun. What it means to eat more but weigh less. The importance of crafting a comprehensive grocery list. How to create variety in your meals by rotating seasonings and spices. How meal planning can reduce food waste. The truth about incorporating fats in your diet. The three biggest meal planning mistakes that most people make. How cooking at home can help you eat fewer calories. The best tools and hacks for simplifying food prep. Listen, I am on the road right now in one of my favorite places, hanging out in Los Angeles, and I've actually brought my son- my oldest son along with me on this adventure this time around, and we were just on the way here to the studio, we were having a conversation about failure. Alright, failure. This is a dirty 'F' word, alright? A lot of people are afraid of this word, and the reality is this, and I love the quote from Michael Jordan when he says that, "It's not a failure until you make an excuse." Right? "It's not a failure until you make an excuse." And how often do we mess up on something and we find a way to justify it instead of really owning it? Because we miss out on the value that that failure actually brings. Because Michael Jordan was considered the greatest basketball player of all time, and so many different pivots that he made as well literally off the court, and I just went to a mall here in L.A. yesterday and just it's hard to walk anywhere and not see his brand. You know, how powerful is that? But for him, understanding that this failure is an opportunity to grow, so it's not really a failure. This failure is an opportunity to get better. Each failure really has a gift, it has an opportunity for us to learn what not to do. Right? Or what not to do in that circumstance, because everything is an option. And so what we really do, we're really failing our way to success. That's what most of us are doing. When we look at the great people in your life that you admire, I promise you they failed a lot more than they've won. Alright? They failed their way right to that greatness that you might see. Alright? So keep that in mind, don't be afraid to fail, keep failing forward, and also don't make excuses about it when you mess up. Just own up to it, make it right, do it better. Alright? So I just wanted to share that little tip with you and little insight we were having a convo about. And listen, when we're talking about greatness, we need greatness in so many different areas of our lives, and more than ever we've got so much stuff going on, alright? So we need to have great strategies to make sure that we have our health practices on automatic, and so that's why I'm a big fan of making sure that we're prepared with our food, alright? With our food- it's huge. It's a huge leverage point. I just had a conversation on the fight over here form St. Louis to L.A., and the flight attendant stopped me- I don't know why, but she started asking me about health questions. I don't know, maybe it was my tee shirt, I don't know. If you have the right cut on, maybe she was like, "Oh you must work out." I don't know. But she started asking me about various things with her health, and one of the big things- here's what it really was. I had brought my food along with me. Alright? I had food prepped, and so I wasn't at the mercy of whatever they were serving. Who knows where and what it is on the flight, right? And so she was just talking about how difficult it's been for her to lose weight recently, and her identity, and now she's talking about the job that she has. Number one, she's been a flight attendant for over twenty years. And I kept reassuring her how beautiful she was, she looked great, and not to hate herself into success, but to appreciate that she is in good health right now, and to take steps from there. But the bottom line was this. We talked about- in this conversation she brought up the fact that it was really difficult to control her food with all the different stuff going on. And so I was trying to reiterate that that's something that you can take control of, at least in a small way. And so today we're going to talk about how you can do that, how you can stay more prepared with your food, make sure you have great food on hand. Delicious food on hand because we're not about deprivation here on The Model Health Show. Alright? Having more of the good stuff, good quality, good source stuff ready and willing so that you're not ending up at the drive thru. Alright? So before we do this, listen, every time I travel, even yesterday, my son, he had his Go-Pack as well. We make sure that we're meeting our nutritional bases, covering those gaps by utilizing Organifi. Alright? This is the only green superfood blend that's cold-processed that's utilizing real superfoods in the right combination. And one of the big reasons that I utilize Organifi-and listen to this. A lot of people even coming to my clinic for years would ask me about taking a multivitamin and I'd just be like, "Pump the brakes. Relax, slow down a little bit." Because a lot of those are synthetic, literally made in a laboratory, synthetic forms of vitamins. So the question is, is this what my body can actually use because the chemical structure is similar? But it's different when it's in a living food. It just is and how it interacts with your body and with your cells. One of the things that we find in Organifi- and what I would do is have my patients on green superfood blends to get their vitamins and minerals. One of the things in Organifi is moringa. Now listen to this. If you're looking for vitamin C, for example, it has seven times more vitamin C than oranges. Seven times more potassium than bananas. Twice the amount of protein found in milk gram for gram. Also, four times the amount of calcium found in milk, right? We're told drink calcium for strong bones, the milk mustache, right? No, this is the way to go, alright? Not dealing with the allergies folks tend to have with milk, whether it's the lactose intolerant, whatever the case might be. You're going to get a higher concentration of calcium - bioavailable calcium - in moringa, which is just one of the ingredients in Organifi. Four times the amount of vitamin A found in carrots, twenty-five times the amount of iron found in spinach, and what does iron do? This is a big construct of hemoglobin. And so hemoglobin is the oxygen transport system for our red blood cells. This is delivering oxygen and nutrients throughout your body, that's how important it is. And chlorophyll, which is the kind of green blood of the plant, is almost identical, like literally identical to human red blood cells. But there's one difference. The center of the chlorophyll molecule is magnesium for the plant, the center of the molecule for the humans is iron, alright? 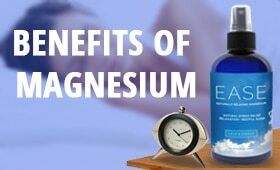 So iron being that it's such an important blood builder, it's also a potent detoxifier, and also it helps with the transportation of oxygen throughout your body. Alright? All of this in moringa, which is just one of the ingredients found in Organifi. It also has chlorella, which is the highest chlorophyll food ever discovered in Organifi as well. Spirulina, ashwagandha, on and on, and it tastes good, alright? So get your greens on. I travel with the Go-Packs, just open it up, throw it in some water, and shake it up, and it's a delicious green juice on the go. Again, low-temperature processed so you actually retain the nutrients you're looking for and you're not wasting your money on these random company X so-called multivitamins. Alright? We're done with that stuff. Alright? Make sure you're getting yourself a green superfood blend. Everybody needs one. I use Organifi. So head over to www.Organifi.com/model. That's www.Organifi.com/model, you get 20% off. 20% off everything that Organifi carries. Alright? By going to www.Organifi.com/model. Alright? Use the checkout code 'MODEL' for 20% off everything. So head over there, check them out. And on that note, let's get to the iTunes review of the week. ITunes Review: Another five-star review titled, 'Better late than never,' by MTMamaOfTwins. "How have you been doing this for years and I've never heard of you? Nevertheless, I found you now and there's no going back. Words can't express the feeling I have about you. Grateful, amazed, intrigued, the la-la love. I learn so much every day from this podcast as I binge listen at work. I share it all. Thanks for doing what you're doing. Keep up the good life work." 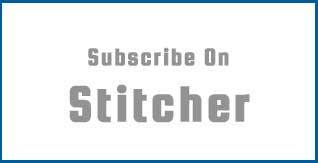 Shawn Stevenson: Thank you so much for leaving me that review over on Apple Podcast, it means the world to me. Keep up with the good life work. Yes, that's what it's all about is having a good life overall. Right? Not just good in one area, or maybe two, and then lack in everywhere else, but really having an overall good life in our relationships, in our health, in our finances, in the work that we're doing, and just having strategies to make that happen, and that's what I'm really dedicated to bringing you here on the show. So again, thank you so much. And everybody, if you've yet to leave a review, please head over to Apple Podcast and do it today. Alright? Leave that review, I appreciate it immensely. Our guest today is Amanda Meixner, and she is a meal prep maven nutrition guru and social media influencer living in Los Angeles, California. After struggling with an eating disorder in high school, she realized that being healthy was about fueling your body with the right foods, not starving yourself. From that point on, she started educating herself on all things nutrition and began crafting her innovative meal prep techniques. Today, Amanda inspires almost a million people- she's getting close to a million people every day with her simple recipes, words of encouragement, and hacks for maintaining a clean eating diet. In addition to all of this, her full-time job is Director of Content and Influencer Success at Meal Plan App, and this is a start-up here in Los Angeles, and stay on the lookout for her new eBook coming soon. And I'd like to welcome to The Model Health Show, my friend, Amanda Meixner. What's up, Amanda? Amanda Meixner: What's up, Shawn? Shawn Stevenson: How are you doing? Amanda Meixner: I'm good. It's great to be in the presence of a superhero. Shawn Stevenson: Oh my goodness, are you talking about my X shirt? Amanda Meixner: Your X shirt, definitely. Shawn Stevenson: Because I was admiring- you've got the strawberries going. Amanda Meixner: Clean eating at its finest. Shawn Stevenson: I like that, you knew where you was coming. So you know, I just want to start off by saying thank you because you've always been somebody who's been very giving in my life, looking out for me. Shawn Stevenson: And you know, a lot of people- especially when you're in a position of influence and reaching a lot of people, a lot of people- they want to take from you, and you've just been very giving, and I just admire you and thank you for that. Amanda Meixner: I mean honestly, your podcasts have given me so much, so I was like whatever I can give you, you've already gave to me in so many different ways. Shawn Stevenson: You're going to make me cry, why are you doing this? So let's talk about your superhero origin story first of all. Shawn Stevenson: So you mentioned kind of high school is where this kind of transformation started. Amanda Meixner: Yeah, so going into high school, I kind of wish someone had taught me about healthy eating at an earlier age, because I started looking at the magazines with all the celebrities, and I was like, "How can I look like this?" That was like my first thought as a young girl. Shawn Stevenson: Right, of course. Amanda Meixner: And my first thought was like, "I just need to eat less. Like I just need to eat less." And then I kept eating less, and eating less, until I wasn't eating much at all. So that's not fun for a lot of people out there, and luckily at that young age, I got professional help. Really I think if you're down the wrong path then, that's what really helps the most. And then once I kind of had a full recovery, I just kept doing more and more research on nutrition, like how can I fuel my body? And then I'd say in college I was working out, and I was eating fairly good, but you know a lot of the buffet style eating and drinking a lot. So I did put on the freshman ten or fifteen. Shawn Stevenson: Yeah, it's real. Amanda Meixner: It's real, it happened, but it wasn't like a big deal. I was still healthy-ish, drinking a lot though. But then when I graduated and I started working full-time, I was like- I had to figure out a way to have good meals through the week working 9:00 to 6:00 in an office, and I actually started just buying pre-made Trader Joe's salads every week. That's how I first started. But you know, that's not really enough to really craft enough food for the week, and kind of have like individual- like what exactly do you want to eat for the week? So that's how I started meal prepping, and I started sharing my journey on Instagram, and then again, just like listening to your podcast, reading different books, all of these different things to help continue my education because it never stops. Shawn Stevenson: Right, and that's so important too, is just being a lifetime student. Shawn Stevenson: So where I really know you from, and a lot of people, and even a lot of people listening, but of course a lot of new people are going to get introduced to you, is from just like being a boss with this meal prep thing. So- and this has been transformative in my life as well, just seeing how doing this meal prep process can change your life. So for you, like why meal prep? Why did you really make that the thing you focus on? Amanda Meixner: Because one, like if you take a few hours on like Sunday to set yourself up for the week, it saves you so much time during the week. You don't have to think about it, and even if you are eating healthy, it's like, "What restaurant do I get? It's probably more expensive." So those kinds of things motivated me to meal prep, and then as I got started it was just like, "I want to save time, I want to incorporate more of these healthy foods, I want to try- I also want to try fun recipes like Paleo brownies and stuff." So just incorporating that altogether, and then really trying to optimize the whole meal prep thing to save time, and like have all my little hacks, like my egg cooker, and all the different things. Shawn Stevenson: We'll talk about those in a minute, the little hacks. Shawn Stevenson: But so this- so first thing, it was probably about maybe two years ago that my wife started to do a meal prep day. Shawn Stevenson: And prior to that it was basically mayhem, you know? Like it was always a moment-by-moment kind of decision like, "Okay here's what we're going to have for lunch. What are we doing for dinner tonight?" Which is still kind of the thing. But that lunch, having that meal prep ready for lunch is such a game changer because that's a time you start going- especially if you work from home, for example, you go tinker around. Or if you work in an office, and you look for somewhere to eat, like it just puts you in a place where number one, it's taking a lot of time to try to figure that stuff out, right? And also your food quality can be- you can toss it to the side a lot of times. Amanda Meixner: No, I think even if you're working from home, because like say you're really busy and you're like, "God, I don't have time. I'm just going to throw some spinach and throw some chicken." Sure that was healthy, but if you kind of took some time on Sunday to make it more fun, you'd be like, "Okay, I'm going to make a really cool salad with tomatoes, bell peppers, spinach, chicken." Like a really good healthy fat, and you maybe think about it a little bit more so you have all of those elements together too. Because I do that sometimes on the weekend, I'll just be like, "Man, I really don't- I'm just going to have eggs and spinach," and it's just not as creative if you kind of thought through it a little bit more. Shawn Stevenson: Yeah, and that creativity, that's what's so beautiful about your page, and what you do. Please make sure you follow her on Instagram. It's just the best because it makes everything- like part of eating is also the- it's not just the palate, it's not the taste, but it's also seeing the food, right? It's an experience. And when your food- your meals, they're not just like some Beefaroni or whatever in some random Tupperware. Amanda Meixner: That sounds terrible. Shawn Stevenson: But it's like some beautiful prepared food that you've got these cool containers and everything, it just makes everything so much- it just feels good. Amanda Meixner: Right. It's even fun things like getting purple cauliflower instead of white cauliflower and just making it more colorful. Shawn Stevenson: Yeah, right. The variety. True story, just yesterday my son and I just- again, figuring stuff out, we've been running around, we're traveling, we had to find somewhere to eat. And we both realized like, "Everything on our plate is yellow or beige." And your brain knows like- he said it, your brain knows like, "This isn't right. We need some variety here." And so little small things like that I think is awesome. And just- again, always full disclosure. When my wife and I first met, I was- I probably made like 80% of our meals. Shawn Stevenson: I did, yeah because first of all- like I was on the path, right? I'm like, "I'm a foodie full on." And she's just kind of- she's tinkering with it a little bit. I definitely was the influence, you know? But her mom was my biggest influence. And so like I was shopping at Whole Foods, and all this stuff, you know it was fifteen years ago- almost fifteen years ago. And so like I just knew what I wanted, and so I would make the food most times, and she would just sit there and reap the rewards. But now it's kind of flipped. Like in the morning I make our coffee together, and then I'll make breakfast a lot of times, but you know she pretty much handles everything else and it's such a blessing. Shawn Stevenson: That meal prep day for her. Shawn Stevenson: So let's talk about that, because a lot of people might be like, "Well I don't have time for that." Shawn Stevenson: They don't understand how much time they're wasting running around trying to get food last minute. Amanda Meixner: It's so much time during the week. Shawn Stevenson: So talk about that. Amanda Meixner: Well everyone's busy, we have work, you might have kids, you might have a side hustle, there are so many different reasons. But the thing I found is I just save so much time by like kind of batching all the work every Sunday, like doing it for a few hours. And I think also another important reminder is something is better than nothing, right? So whether like if it's just grocery shopping so you have the groceries at home, that's going to save you time. And then if you can just do snacks and lunches, that's going to save you time. And then like if you're super busy, can't even cook dinner, then maybe do it all. That's kind of what I do. But I know, I hear you, you do your lunches and that saves you time. So just think about during the week how you're like looking for a place, picking out what to eat, calling that place. Like that just takes so much time and energy. Like once you're done on Sunday, you don't have to think about it. Shawn Stevenson: Right, and there's a switching cost as well. Shawn Stevenson: You know, with your brain needing to- we've talked about this with Jay Papasan, for example, who wrote 'The One Thing.' And mentally, when you have to shift gears from trying to work, and then like, "Now I've got to shift my brain to trying to figure out what to eat," it takes time to get back. Rather than like your food is right there, you can eat, enjoy, take a break, and then get right back to your thing. Shawn Stevenson: Because it uses mental energy to figure that stuff out. You said a powerful word, 'batching,' right? Or I call it 'chunking' sometimes. Amanda Meixner: Oh, I like that. 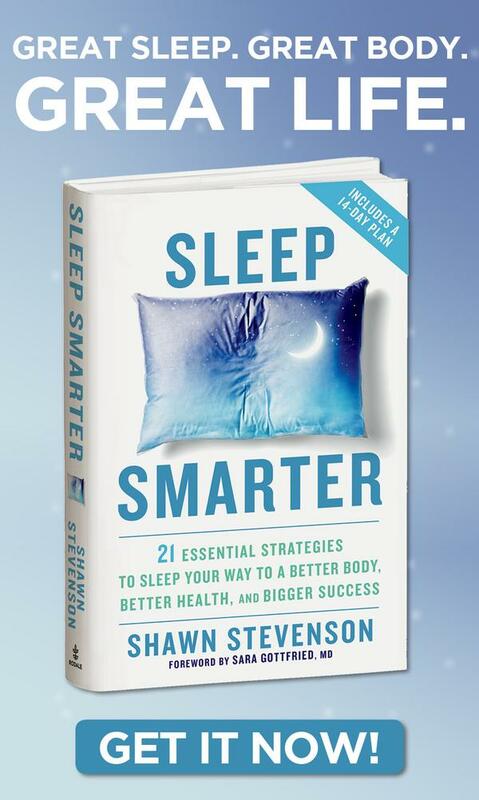 Shawn Stevenson: If we really just focus in on one thing and then have that work for us later. So for example with the meal prep, we're saving ourselves potentially hours each week by just doing it altogether, because your brain is focused on that one task, right? But also this is a good time for you to kind of get a break from the rest of the world in a way too, right? Amanda Meixner: Right, no I totally- I tune off and I either listen to like my favorite podcast, which is usually you, or like you can put on a show if you don't really want to think about your meal prep, and you want to have your favorite show on in the background, or even some good music and kind of jam out and dance in between making your recipes. Shawn Stevenson: You make it sound so good! Shawn Stevenson: People should be doing the meal prep, it sounds awesome. It's like for my wife, she was recently on the show, and we'll put that in the show notes. If you happened to miss this episode, what are you doing? Alright? It's so, so powerful. But this is when she has her 'her' time to do like her little like trashy shows or whatever. I mean sometimes it will be like whatever Housewives or something. You know, I don't know what's going on. But you know, because it's just not something that we do together. But also, we don't have to be on. Like she's such a personal development addicted person, like to have that time for you, your brain to have just a little bit off time, or to watch her shows. So I know she watches- I'm just going to throw these out here, How to Get Away With Murder. That's one and I think the other is maybe Scandal is one of them, and then Vikings. Like she watches this whole Vikings show. Shawn Stevenson: And she'd be so happy, like coming back to hang out with us, like you know, it's just like it was a little away time and mom time. And then of course I'd be with the kids, and letting her have that. Like working together as a team, you know? But even if you don't have another power player on your team, if you don't have your Michael Jordan or your Scottie Pippen, doing this for yourself and setting yourself up for success is such a big key. Shawn Stevenson: So I want to ask you about- let's talk about some specific tips now. Shawn Stevenson: With the food prep, alright? So if you can- let's maybe go like top three important things for us to do to really master the food prep game. Amanda Meixner: Okay, got it. So the first one I feel like seems really basic, but it's super important. So think about what you're going to prep in advance. So like the food or the recipes, like almost write it down into your week. What do you want? What do you want for breakfast, lunch, dinner, snacks? So write that out, and then from there write the grocery list. Because you don't want to go to the grocery store empty handed. You're going to be lost, it's just going to be chaotic. Number two would be to get all of like the containers you're going to use. So whether- like for you, if you're working from home, you'll probably get like bigger bulk containers. Or if you want more of like your food separated out, like glass Tupperware is great. I love my mason jars for making salads. Shawn Stevenson: So what's that? Amanda Meixner: The salad jars? Shawn Stevenson: Yeah, I've seen them. Amanda Meixner: You've seen them. I think it's so funny because I get so many questions. They're like, "Do you eat it out of this large jar? Like is it just for looks?" But there's actually like a method to this madness. I'm not doing it just to be like Pinterest friendly. So when you make a salad, you can't like put the dressing in there normally because it will get soggy. So in a salad jar, you can put the dressing on the bottom, and then you put like wetter ingredients, so tomatoes, cucumbers, whatever. And then you can have like cheese if you eat dairy, and then protein like chicken, and then at the very top you have your lettuce, and you pack it air tight. So you can put all the ingredients together, you can put the dressing together, and it stays super fresh and super crisp, and your lettuce doesn't get soggy because like the wet ingredients are at the bottom. And you shake it up and it like turns out super pretty. Shawn Stevenson: Yeah, and that's the thing, it looks beautiful too. Amanda Meixner: It looks- yeah it does look great. Shawn Stevenson: And also- so the first tip is actually- so we're not going to the- how much time do you waste in the grocery store? Like this is basic stuff. Amanda Meixner: Oh, I'm so quick. I am so fast now, because one, having a list, it's crazy how that saves you time because you're not like looking around. And then once you do it, like once- you know, maybe you're on your third or fourth week, you're going to know where everything is in that grocery store. That's why I like chains because I'm like, "I know exactly where all the things are," and you're just incredibly fast. Shawn Stevenson: Yeah, maybe this is why my wife- like she'll always ask me like, "Is there anything you want me to get?" And it's like, "I'll text it to you." But once she has her list and I tell her one thing- and this is like- this is love. I love her, but we used to get into it about this. I'd ask her for one thing for me. You know? Like, "Hey make sure you get this whatever protein for me." You know? Protein powder or whatever it is. Sure enough she would come back with everything except that one thing, you know? And I was like, "Are you serious? Like what do you have against me?" You know? Now I just- it just literally happened before we left. And I just think it's cute now. Like, "Oh there she goes up to her old tricks." Because that could literally just make me want to jump out the window. Amanda Meixner: No, I'm the same way. If it's not on my list, I'm like- and that's happened to me with my boyfriend too. He's like, "Oh get this extra thing," and I forgot to put it on my list, definitely didn't get it. Amanda Meixner: So those are my first two tips, and then one of my other tips is to have like good seasonings on hand. So whether that's like spices you mix together, or there's ones that are already made that have good ingredients like Flavor God, if you've heard of that brand, or Fit Flavor Spices, because then you can just- if you have a bunch of different flavors on hand, like chicken- last week's chicken can taste totally different this week. Amanda Meixner: Just with the spice. So and you know spices are a great way to add flavor without adding calories or like weird ingredients. Shawn Stevenson: Yeah, oh my goodness, that's such a good tip because one of the issues that we tend to have with food- because a lot of people just eat the same stuff over and over again period. But we can have so much variety with the same food, you know? Chicken for example, there's like thousands of different ways that you can make that chicken. Shawn Stevenson: You know? Even your eggs, or omelets, or whatever. There are so many different things you could do. Amanda Meixner: Yeah, with spices or then like going from grilling to baking to cooing it in a pan. Shawn Stevenson: Yeah, I never knew- like brussel sprouts, for example, just preparing them the right way or different ways. Man, like a food that I would have never eaten, now I love it so much and there are so many different ways to go about it. Cole slaw is another one. There are so many different ways that you can have that. Amanda Meixner: That's true. That sounds good right now. Shawn Stevenson: So let's see, I would love to talk about- I think one of the big issues for us- like let's talk about the other side of meal prep, like what happens when you don't, you know? Like as far as like junk. What's one of the big strategies or insights people can have about not eating junk food? Amanda Meixner: Man, I mean well one, you're going to feel so much better by not eating that junk food. Two, I think cutting out processed foods alone can help you lose weight, because they're so calorie dense, but not filling. Like a handful of chips, you will not be full. You're going to need like ten handfuls versus like a handful of carrots and Greek yogurt with some fruit. That protein and fiber is going to really leave you feeling full. And then another thing about these processed- like even if you buy healthier processed things, there's usually hidden ingredients like canola oil, high fructose corn syrup, and things like- oh maybe you think granola might be healthy, but if you really don't get the right brand, there's like all these hidden inflammatory ingredients that if you just cooked yourself, you know they're not in there. I heard you talking the other week, even like Whole Foods cooks with canola oil. Shawn Stevenson: Canola oil, yeah. Their food bar- hot food bar. Yeah, it's a little disappointing, you know? But at the same time, there's levels to this, and it's not about being perfect, but if we know better, we can do better, and that's why- again, I love what you're doing. And I think another big thing too is just like if you're being prepared, then like especially like having your grocery list, knowing what meals you're going to make, and not bringing the stuff into the house in the first place. Right? Amanda Meixner: Yes. Yeah, like if you're going to- like I feel like sometimes I will treat myself if I really want to, but if it was in my house I would be so much more tempted all the time. The other thing that I looked up before this was a study in 2014 that showed that people who cooked at home six to seven nights a week actually ate fewer calories than people who cook less. So they ended up eating 150 calories less per day, which is like almost 1,000 a week, just from cooking at home. Shawn Stevenson: Wow, that's powerful. Shawn Stevenson: That's incredible. I love- you know I'm a very analytical person. Amanda Meixner: You're like the study king. Shawn Stevenson: So hearing something like that, plus just think about the activity that you're doing, and the movement involved in you making your food. Shawn Stevenson: You get that benefit too, guess what? You look good, right? Shawn Stevenson: You're going to look and feel and perform better at the end of the day, you know? Shawn Stevenson: It's like such a win-win-win across the board. Shawn Stevenson: That's so awesome. So not bringing the stuff in the house. Also understanding the value that we get from the food itself, more nutrient dense foods, because that's what they're doing when they're making foods themselves, they're going to be able to give their body more nutrition. They're going to have a tendency to do that, which is in and of itself, because one of the big things with overeating - and I've said this many times - is that chronic nutrient deficiency leads to chronic overeating. So getting more nutrient dense foods in your body, because it's about volume of food, right? Amanda Meixner: Yeah, exactly. So I mean those processed foods are so calorie dense, when you get more of those nutrient dense food, especially if you're filling up your plates with like veggies, et cetera, that's where you can feel like you get to eat more, but then you end up weighing less. Like that saying is funny, 'Eat more, weigh less,' because it's not eat more pizza, and donuts, and what you were already eating, and weigh less. It's like eat more of these nutrient dense foods, and you'll feel like you're getting so much more volume, especially with all the extra vegetables and some fruit, and then obviously having the right amount of protein, carbs, and fats for you. Shawn Stevenson: Wow, so powerful. And with food prep, you get to see how much- sometimes for your eyes it's just like, "I get to eat all of this?" Shawn Stevenson: Right? Versus- because it's about you get to eat more food, more volume of food instead of eating more calories, right? And that's one of the big changes and kind of 'aha' moments for people when they find out that they get to eat- like they get to eat period, because that was what you struggled with early on, you know? When you were dealing with- and I want to talk a little bit more about that, you know? And I love the fact that you said getting help, especially early on like that, was a big turn in your life. But what about- because I know right now there are literally millions of little girls and young men who are seeing all this stuff, social media, and this ideal of what you're supposed to be, and sometimes they're doing unhealthy means to try to meet that. So can you talk a little bit more about like your experience and what you would recommend or want to say to some of the kids that even see you, being beautiful, and fit, and just what the best approach really is? Amanda Meixner: Yeah, so again, losing that mindset of just it's about eating less, especially eating less processed food. Like, "Oh if I just eat less processed food, I'll weigh less." Get rid of that mindset. It's about eating like whole nutritious foods, and really filling up your plate with the non-processed foods. And then the other thing is there is a healthy way to lose weight, that's what I want people to understand, because I wish someone had taught me there's like different systems and tricks you can do like cutting out processed food. Shawn Stevenson: So what were you doing? Amanda Meixner: I was just eating less of- more of like, "Oh, I'll eat less fries, or I'll eat less crackers," and not really eating more vegetables, and also having the right amount of healthy fats. Like don't be afraid to eat the fat. Shawn Stevenson: Yeah, that word again. Amanda Meixner: What do you want to call them? You want to call them lipids? Shawn Stevenson: Yeah lipids, or energy, or something different because that mindset, just like seeing the word fat, it creates fear in us. You know? And it's just not right because that dietary fat in the food is not the same thing as what we have on our bodies. You can create new fat in your body, growing your fat cells, by eating something that's fat free. You know? You just eat a bunch of rice, you can get fat from that. You know? So it's not about that. Amanda Meixner: Yeah, and then I think the other thing is looking at food as fuel for your body. So really not just- obviously like calories is one piece of that, and I do share like calorie information on my page, but like this is fueling my body. Like this is the kind of food that's going to give me good energy, that gives me that positive energy to do whatever activity, to talk to you in a good way so I don't sound like a complete idiot. Shawn Stevenson: So I want to ask you about- you mentioned earlier about- you said the word granola. And there are certain words that just feel good, you know? Like granola, like fluffy, right? You can't say 'fluffy' and be mad, you know? Like if somebody is yelling, "Get that fluffy pillow! I just said fluffy." You know? Or granola, for example. But there's the good and the not so good, and one of the places for granola, like we can get organic, non-GMO, everything you're looking for at Thrive Market. I know you're a big fan. Amanda Meixner: Man, their Paleo granola is so good. I know, it was funny because I was like, "I can't eat granola because all these other brands don't have quality versions," but once Thrive Market had their Paleo, I was like, "Oh I can eat granola again," and it just tastes so good. Shawn Stevenson: Yeah, the Paleo granola, fire. So good. And so Thrive Market- so this is one of the other ways. With food prep, number one- well I guess number seventeen really at this point, you save money. You save so much money because you get to architect this, get this stuff mapped out. It saves you time and money just by doing a little bit more up front. And so another way that we're saving money with our groceries is by buying a lot of these different foods at Thrive Market. And so I'm so mad at myself, and just- this is like the disclosure episode right here. But my wife has been asking me for over a week like, "Did you put the Thrive Market order in?" And I didn't, and so I get so mad at myself when I'm at the store spending 50% more on the same thing I could have got half off, or at least 25% off at Thrive Market. So this is where we get this huge- I don't know if you've seen the mega size coconut oil extra virgin. Shawn Stevenson: Organic coconut oil. It's like- it's as big as somebody's head. Like a big-headed big head person. Shawn Stevenson: So we get that, and it's like something comparable that you might get at a Whole Foods or the local mom and pop store, which is great, I still definitely support- I want us to support them, but we need to look out for ourselves first so that we can be able to support them, you know? But it would be $10-$15-$20 more for that same amount of coconut oil, and I get that from Thrive Market. The sprouted quinoa, bars for the kids. As you mentioned, the granola. Talk about that mayo. Amanda Meixner: Oh, that Paleo mayo? Shawn Stevenson: Yeah, talk about that. Amanda Meixner: Oh, I'm in trouble with that. It's so good, and again, it was like one of those foods that I was like, "None of the mayos on the market are good." And then that Paleo mayo with like cage-free eggs and all the good ingredients in it. Shawn Stevenson: Avocado oil, they use for that. Amanda Meixner: It's so good. Shawn Stevenson: Come on now. Shawn Stevenson: Bulk up, same thing. Batching, right? You're saving money and getting a lot. Last time I got the mayo, the chipotle mayo, I think I bought six jars maybe. I'm just like, "I'm never going to run out of this." I got down to the wire. We still have some of that left though from our order. And so just so many great things, guys. So I want you to make sure you're saving yourself money and also you're doing good for our environment, you're doing good for our community, because every paid membership to Thrive Market, they give a membership away to a low income family, teacher, veteran, alright? So they're doing a lot of good for the world, and really curating the very best companies that are doing great things for the planet as well. Again, so fair trade- whatever particular category you find yourself in that you're shopping for whether it's gluten-free, Paleo, vegan, whatever it might be, they have it curated for you, the very best companies to get your foods at 25% to 50% off the retail price, alright? The same price you would find at a place like Whole Foods. Alright? So again, you're saving literally at least hundreds of dollars- if you've got a family like mine, like my son is over here, Mr. Swoll over here in the corner, he eats a lot. Alright? So we're saving up into the thousands, alright? And just my family, and what we do and sharing. Like I get a lot of food for other people, you know? I give away stuff that I love to the people that I love. I think food is love, you know? And it's just a very intimate powerful thing to share with somebody. And so I just love Thrive Market, and I love what they stand for, I love how they handle business. 25% to 50% the prices, plus for your first purchase, guess what you get? You get an additional 25% off your entire cart. Alright? So head over, check them out. It's www.ThriveMarket.com/modelhealth. Alright? You've got to go to that link to get the additional 25% off your first purchase. Alright? So it's www.ThriveMarket.com/modelhealth together as one word, you get 25% to 50% off everything already, but an additional 25% off your first purchase, and free shipping, alright? That can be the deal breaker, alright? I've emptied my cart before because I had to pay for shipping. Alright? I have done that. But you get free shipping as well. So head over there, check them out, www.ThriveMarket.com/modelhealth. Now I want to ask you about your favorite items for your meals, alright? Like what are your kind of go-to's? What are your favorite meals to do your meal prep for? Amanda Meixner: So salad jars are one of my favorite, which you can make so many different variations with the vegetables, and switch out chicken, tuna, eggs, like they all go well in salad jars. Shawn Stevenson: And it's easy to make a lot of it. Amanda Meixner: Yeah, I make like five of those. Even like grilling a batch of chicken breast or chicken thighs, which are really underrated because they taste so good for just a little bit of extra fat. And then again, steaming more vegetables with that, or maybe if you want some healthy carbs, cooking some sweet potatoes, some rice. And then when I want to have a little bit more fun, I love making like healthy desserts. So like Paleo brownies, Paleo fudge. Yeah there's just like different- if you go on Pinterest and look up any Paleo dessert, super clean and super good. Amanda Meixner: I should have brought some. You're like, "Where are my brownies?" Shawn Stevenson: I really love sweet potato brownies too from Michael Morelli, his book- which we'll put his episode in the show notes. Fire. Such a good book, 'The Sweet Potato Diet.' So just a big shout-out to my guy, Michael. So with this said, what about- because as you're talking about this, I'm thinking about what kind of tools is she using? She must have like some outer space set-up with the tools and things to make the food prep easier. So what are your favorite items for you that help you with food prep? Amanda Meixner: So my number one- and I think everyone on my Instagram is like, "This chick is obsessed with her egg cooker." Amanda Meixner: If you look on Amazon, egg cooker, they have different brands. I forget the names of the brands, but you save so much time and you just like poke- it has a thing, you poke holes in your eggs, and then you don't even think about it. It's automatically timed, and then the best part is that they come out easy to peel. Shawn Stevenson: So you poke a hole in the uncooked egg? Amanda Meixner: Yeah. It's weird. Shawn Stevenson: Yeah, this is like- there's science in that right there. They put science on those eggs. Amanda Meixner: Well it's funny too, like you fill up the water to a certain amount, so if you want it soft, medium, or hard boiled. So you can customize it, it's great, that's one of my hacks. Especially for Fall, like I feel like I don't use it as much now, but my Instant Pot- which you can also get a Crockpot, but my Instant Pot, you can cook a chicken in like twenty-five minutes. It's so fast, and I make chicken soups. I've made bone broth. So normally bone broth takes twenty-four hours on the stove. In an Instant Pot it takes three hours. Shawn Stevenson: Wow, there's science in that too. You know? My wife loves the Instant Pot, and she's got me using it as well. It has that pressure cooking component as well. So if folks are concerned about these lectins, like we talked about with Dr. Gundry, and how important- one of the things he really advocated was having a pressure cooker. Or you know, so this helps to kind of get rid of some of these second hand enzyme inhibitors, things that make it harder to digest, and potentially can cause you some gut irritation too, you know? So cooking your beans in it, she makes stew in there a lot of the time which is amazing. I was very much like, "What is this?" Like hitting it with a rock. Amanda Meixner: You're like, "Was this worth our money?" And then she made you some stew and you were like, "Absolutely." Shawn Stevenson: I couldn't believe that it made the food that swiftly and gracefully. Like you know, because stuff like that you'd be like, "It must not have the right mouth feel or texture that you're looking for." But it absolutely does, love the Instant Pot. Amanda Meixner: Yeah, I made some Paleo stews in that, I love that too. And then this is super simple, but a spiralizer for different vegetables, because trying to get- the more vegetables, the better. So I love spiralizing zucchini because it turns into like a pasta-like texture, and then you can add some marinara sauce to that. So really easy way to get creative with your vegetables. Shawn Stevenson: Wow, this is really cool because these are things we have, except the egg cooker. I'm not familiar with it at all, so I'm going to have to check that out. And of course, thank you for sharing that with everybody. Of course we have the Crockpot as well, so if you want to do the slow cooking thing, maybe you can have both going. Amanda Meixner: I know, you can get it all done. I'll literally have times where I have my egg cooker going, and then on the stove I also have like a steamer. So I have like two things steaming, like one thing in another pan, and then I have my boyfriend grilling my chicken. That's the shortcut. Shawn Stevenson: I love it. I love it. So man, so many great things and insights. Let's talk about mistakes. What are like three biggest mistakes people make when doing their food prep? Amanda Meixner: Well one, not planning ahead. Like don't just wing it. Don't just go to the store. Shawn Stevenson: Stay on this, please. Talk a little bit more about that. Amanda Meixner: Just really like picking out maybe what recipes you want to do, like planning out more of your week. Because another thing that will happen if you don't plan ahead, you'll end up with extra waste because you don't know how much protein you need, you don't know how much vegetables you want if you don't kind of write it out. So that's a big mistake. I guess number two would be not being creative with it. Like not trying these different seasonings, not doing different flavors, because then you run into the, "Oh my God, I'm so bored," or that kind of stuff. If you don't really try to flavor it or try new things, because you don't want to be eating cardboard or rubber chicken. Shawn Stevenson: Right, and don't curry everything, for example. It's just curry every day. Like I love a good curry, because I think I can probably go a little bit too hard with the curry, and then you just get tired of it, you know? So yeah, I love that, having some versatility with the spicing, how it can compare. That's awesome. Amanda Meixner: And then I guess number three would be you're just not having the right containers for your food. Because if you go to cook, and like what are you going to put your food in? So making sure to get that, and that also can be motivation within itself. You're like, "Oh I want to make Amanda's salad jar," and you get these empty mason jars, and you look at those and they're staring at you. They're empty jars. Amanda Meixner: You need to put stuff in them. Shawn Stevenson: Use me. Like use me. I love it. Thank you so much for sharing that. This is- like I love very practical information, but also from somebody who has done it at the highest level, and I'm just very grateful for you stepping up and doing this, and like showing people how to do it, how to make it fun, and I know it hasn't been an easy path. I know that, but you make it look really- you make it look good, you know? And you walk your talk, and I just really respect that about you. So thank you so much. Amanda Meixner: Oh that's awesome. Thank you so much. No, it feels good to have it done, and I honestly- I like haven't skipped a week in forever because it feels wrong. And then I'm like, "What would I eat?" I am in an office five days a week, and I would be so lost, and it would take so much more time. So it's the best feeling. I'm like, "I don't have to think about it," and I made good food. Like I didn't make stuff that I'm like, "Oh God, do I have to eat this?" Like no, I'm excited. Shawn Stevenson: Yeah, awesome. So thank you again for figuring this stuff out. Because that's the part specifically when I said I know it hasn't been easy, like just figuring out what works, and then you- all of us get to reap the benefits, you know? This is why it's so important to read books, to listen to podcasts, to learn from the best. You know, people who are doing this stuff at a high level. So thank you. Shawn Stevenson: There's nothing worse than an ugly pancake, you know? It's pancake granola. So final question. What is the model that you're here to set with the way that you live your life personally? Amanda Meixner: Oh man. I guess my model is- I have to think about this one. I should have already had an answer because I know you always ask this. I think that being prepared can be your best friend, and I just want to show like what preparation looks like, and how you can reap the benefits from being prepared in all aspects of your life. Shawn Stevenson: Oh, I love that so much. Amanda, you are the best. Can you let everybody know where they can connect with you online? Amanda Meixner: So my Instagram handle is @MeowMeix. I'm sure it makes no sense for what I do, but it's @MeowMeix, so it's the start of my last name. @MeowMeix, and that's the same with my blog, it's www.MeowMeix.com. Shawn Stevenson: Awesome. Awesome, thank you so much again for coming on, sharing your wisdom. I appreciate you, you're the best. Shawn Stevenson: Everybody, thank you so much for tuning into the show today. I hope you got a lot of value out of this. She said it at the end there, plan it out. Right? Plan it out. How are we going to get where we want to be if we don't have a strategy, right? A plan, something very actionable. I love having the end result in mind for sure, and kind of the results in reverse, but we need to have a plan. Right? We don't just want to be like, "The universe will bring it to me." You know, definitely there's a part of that, but more so what are you doing to get that closer to you? Whether it's your physical health, your mental health, mental and emotional, the health in your relationships, whatever it might be, all of these things matter, and having a plan for these things can be absolutely game changing. But how often do we just not take the time to create a simple plan and save ourselves so much headache on the back end? So plan it out. Make like a solar system and plan it out. I hope you got that. The real ones will get that, it was real deep. So you know, this is very practical. Right? This is something that we can do to set ourselves up for success because that's what it's really about at the end of the day, is instead of setting ourselves up for failure, and setting ourselves up for hardship, and it's putting ourselves in a position where we continue to make the wrong decisions. We have to take responsibility for this because it's really a big- especially we're grown, alright? We're adults. 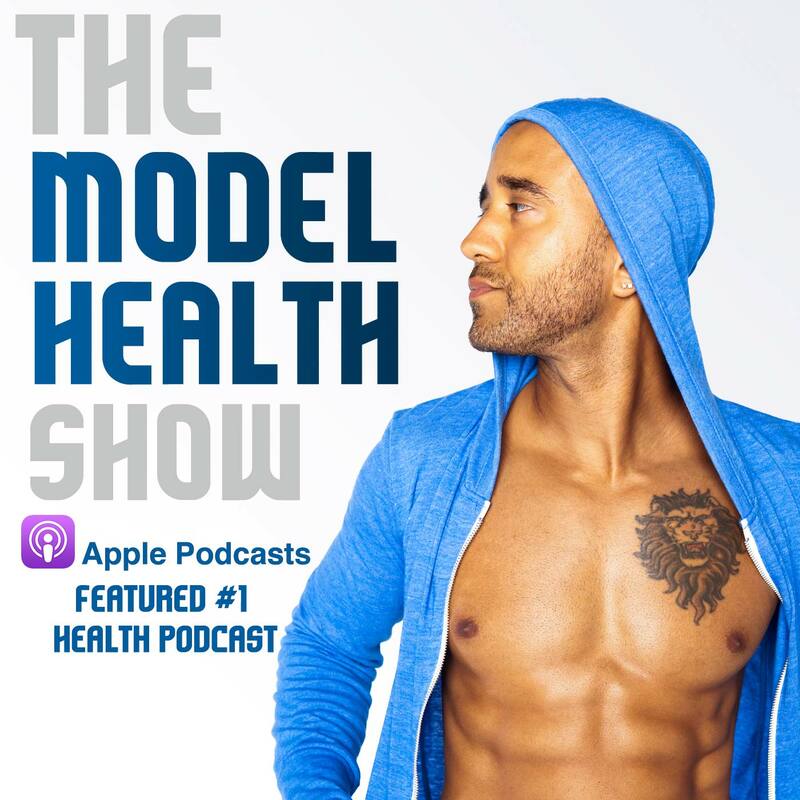 We listen to The Model Health Show. Alright? We have a lot of power to affect change in our lives, and it's really just stepping up to the plate and understanding what is the end result we want to get to? And then we start to fill out the middle. Right? We start to fill out the middle by creating a simple plan. Very actionable tangible strategies like you just learned today from the one and only Amanda Meixner. Alright? So make sure to check her out on Instagram, it's the best, alright? And listen, we've got some incredible- I'm telling you. Listen, I don't think you realize how powerful these episodes coming up are, alright? I'm telling you, we're going to just keep taking things to a whole different level, alright? So be ready, alright? Take care, have an amazing day, and I'll talk with you soon. you can find transcriptions, videos for each episode, and if you've got a comment you can leave me a comment there as well. The past couple of episodes you’ve talked about your beautiful wife and missing things at the grocery store … the COZI app is the way to go!! I text my husband I’m going shopping and tell him to add what he wants by a set time … and TADA nothing gets forgotten because it merges both of our requests onto one list we an access at any time. Nice articles. Thanks for sharing this information.